Shakespeare was right when he said that a rose, by any other name, still smells as sweet. However, a name can be bloody important! In perfumery, a name can convey either a wealth of details about the type of scent a perfumer has made, or the sort of impression that a perfume seeks to evoke. A name can also lead to great expectations (to bring up Dickens this time), followed by a great, whacking THUMP of disappointment as the consumer falls down the cliff to a different reality. Exhibit No. 1 for that would be Chanel‘s Coco Noir which is neither Coco nor Noir, and as such was met with howls of disappointment from many perfumistas. Exhibit No. 2 would be Paprika Brasil from Hermès. It was released in 2006 as part of Hermès’ exclusive, in-store Hermessence line of fragrances and created by Hermès’ in-house perfumer, Jean-Claude Ellena, a legendary perfumer who was recently called by Der Spiegel “the best ‘nose’ in the world.” Ellena is known for his minimalistic approach to ingredients, and for perfumes that always have depth and complexity, despite seeming sheer and transparent. That sheerness is rather a signature of his and, for some, was taken to unfortunate extremes with Paprika Brasil. My initial trials of Paprika Brasil cannot be described in any way other than disappointing, and the experience points to the dangers of building up expectations based on the fragrance name, back story and notes. I suppose what I was expecting was a deep woods scent with exotic spices, something that would evoke the jungles of Brazil before the impact of globalization, where Lévi-Strauss was said to have found “a human society reduced to its most basic expression”. A tinctorial wood to colour fabrics red, ‘brasil wood’ gave its name to the country. With its power of suggestion, “bois de braise” sparked my imagination and I chose paprika to illustrate it. By mixing and matching, I recreated its scent, which is more secretive and discreet than its taste. pimento, clove, paprika, iris, green leaves, reseda, ember wood (aka Brazilwood or Pernambuco) and woody notes. I had read the reviews of Paprika Brasil before trying it and — since I have a tendency to root for the under-dog — I was initially quite huffily indignant on the poor perfume’s behalf! It was quite fascinatingly original at the start, and I was baffled by the degree of contempt and animosity which Paprika Brasil has engendered in some. My immediate reaction to the opening seconds was, “Oh my God, I smell like a chili pepper!” There was an astonishingly powerful, sharp burst of red pimento chilies, followed by green bell peppers, cloves and a touch of paprika. (I wrote in my notes: “Add lettuce, ranch salad sauce, and I’m lunch?”) The paprika is never particularly strong on me, though others have reported a different experience, but the green bell pepper is very prominent. It is tamed about ten minutes in, countered by the advent of wood notes that are faintly smoky, peppery and spicy. 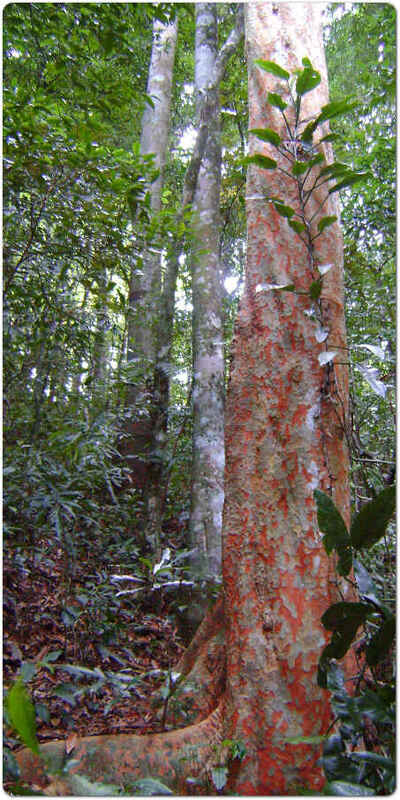 Brazilwood or the Pernambuco tree. Twenty minutes in, a soft green note unfurls, like leaves opening in the sun, and there is the start of the iris note. The perfume has quickly progressed from a chili-vegetable scent into something entirely different and, frankly, it’s rather astonishing. It’s turned into a very airy rendition of spicy, peppery woods with a touch of green and the softening note of floral iris. I found it very original and quite fascinating. I sniffed my arm constantly and with a smile, always wondering about those incredibly dismissive and often caustically sneering reviews. As time progresses, 2.5 hours in, the wood notes start to dominate. They are both smoky (black) and spicy (red chili). I wonder if some of the Brazilian reseda or ember woods used have an aroma similar to guaiac because I smell the same sort of black peppery notes here. The iris has also emerged to great extent. It is oddly both floral and earthy at the same time, as though Ellena used both the orris root and the flowers. It’s never powdery, though there is a faint, subtle, almost microscopic element of powder hovering around the edges. As several commentators on Basenotes also found, the contrasting floral and earthy notes counter the dryness of the wood and spices. It’s at this time that my feelings start to change about Paprika Brasil. It started to wear me down a little. By the end, about 4.5 hours all in all, I had completely reversed my position and had enough. 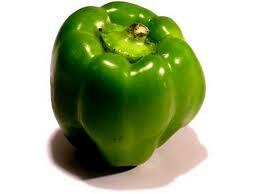 I don’t know if it was the linearity or the constant pepper accord but something had become too much. There were so many conflicted thoughts darting through my mind. I spent an inordinate amount of time attempting to determine what might have been a better, more accurate, potentially less disappointing name for the perfume — and concluded that the task is a lot harder than it seems. Neither “Chili Woods” or “Peppered Woods” has much élan. Nor does “Airy Pimento” or “Peppered Iris.” Frankly, I’m at a bit of a loss with regard to all aspects of this scent, and it must have shown because I suddenly noticed The Hairy German watching my face with great concern. In comparison to the other fragrances from Hermessence collection, I find Paprika Brasil to have the least presence and impact. Theoretically, the weightlessness and the airy quality of spices and woods is interesting, but as a whole, the composition appears watery and limpid, a sketch that never seems to attain the form one wishes it to possess. Being an admirer of Jean-Claude Ellena’s work and Hermessence Collection, I feel particularly disappointed with this latest creation. Perhaps, it is due to my high expectations. Perhaps, it is because I already have encountered two fragrances this year that explore the same theme of cool rocks and damp earth via iris and green notes with much more interesting results– Eau d’Italie Sienne L’Hiver and L’Artisan Parfumeur Dzongkha. Paprika Brasil appears to me like a modern art piece, without a key to understanding its concept. It is first and foremost an iris fragrance, and a sheer one at that. The top notes have the same feel of rooty carrot that you find in Hermès Hiris, but without the sharp metallic twang. There is a slight whisper of green, and a dusting of dry paprika, and yes, there are woods, but the whole is extraordinarily muted, and easily has the least presence of any of the Hermessences so far. As a rule, I like sheer and muted. It is one of the reasons I admire Jean Claude Ellena: he can work magic without shouting, and while using a very limited palette. But Paprika Brasil feels almost wan, and so entirely fails to live up to its name that it is hard, quite honestly, to find a way to approach it with an open mind. Last night and again this morning, I tried it next to a group of my favorite iris scents, and it failed to make much of a showing. I’ve only tried Ambre Narguilé thus far from the Hermessence collection, so I can’t compare how Paprika Brasil measures up to the line as a whole. Taking just Ambre Narguilé as a point of comparison, yes, it is far more robust, but Paprika Brasil is hardly a weak, wan, cold scent on my skin. It’s all hot chilies and peppered woods. It’s monotonous, exhausting and, ultimately, the furthest thing from versatile, but it’s not cold and reminiscent of “cool rocks”! None of the commentators on Basenotes found such coldness either, but, rather, dryness, paprika, iris and woods. To the extent that it doesn’t have much depth, body or complexity, then perhaps, yes, Paprika Brasil is “watery” in that sense — but only in that sense. 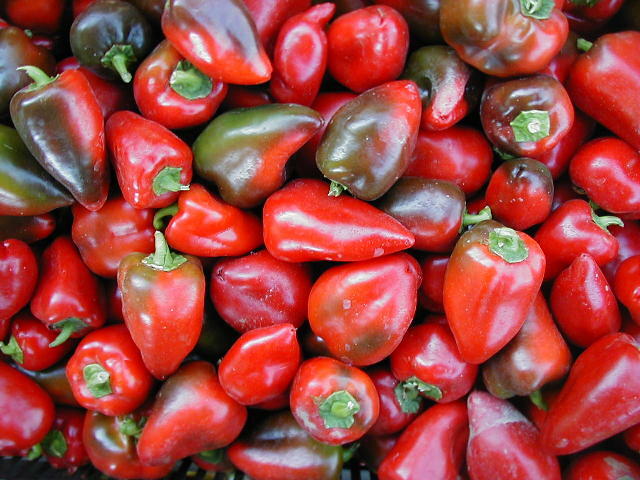 The spicy notes bear a promise of a scent that is red-hot, fiery, supremely piquant, but Paprika Brasil is much more tame then what the presence of pimento, paprika and clove might suggest. It starts green and dry, making me think of twigs and indeed green leaves. A delicate spicy accord is woven into that greenness, it grows stronger as the scent develops but is always kept in check by the leaves and the wood and the cool earthiness of iris (which is very apparent on my skin). The spice that I smell here is mostly pimento and it is a beautiful note, crimson, dry and appealingly sharp; it saddens me that this attractive piquancy was not allowed to be more prominent. No, I don’t want a scent where other notes are overwhelmed by the spices, but neither do I like the idea of a scent where the spices are beaten into submission by the rather pale and unexciting rest of the ingredients. Dusty-green, too dry, too delicate, dull and fleeting, Paprika Brasil was a bitter disappointment for this fan of the other five scents in the Hermessence series. I didn’t find Paprika Brasil to be so green, delicate or pale, and the spices were always there, permeating the iris and wood notes. However, at the end of the day, it was simply just too exhausting to wear. The opportunity to smell like a bell pepper, then iris and chili-ed woods, does not come cheaply. 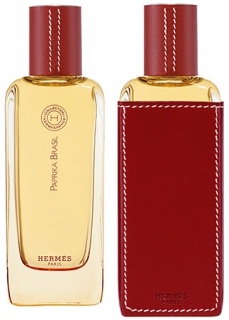 Paprika Brasil costs $235 and is sold only in the large 100ml/3.4 oz bottles directly from Hermès itself (whether online or via its boutiques). It doesn’t come in any other size and only comes in the eau de toilette concentration. 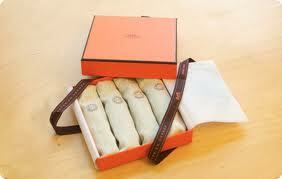 However, and this part is key, Hermès sells a travel or gift set of four 15 ml/0.5 oz bottles for $145. You can get 4 bottles of any perfumes in the Hermessence line, or all 4 can be the same perfume. In short, for $145, you would be getting 60 ml or about 2.0 oz of perfume, which is more than the standard 1.7 oz bottles for perfumes. 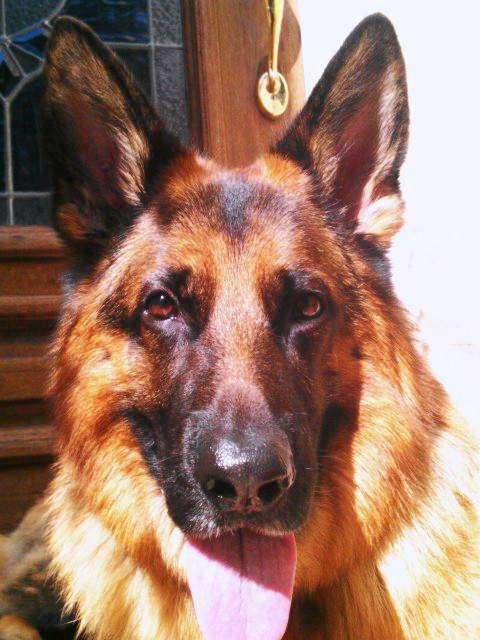 As such, it is a much more manageable price. If you want to smell like iris and pimento-ed wood, that is. Paprika Brasil is available on Hermès’ website at the link provided above. Samples are available at a number of sites, as well as on eBay (which is where I obtained my 4 ml vial). Surrender to Chance sells samples starting at $3.99 for the smallest size. As always, I think they have the best shipping prices, so I would start there if you’re interested in testing out the perfume.